Of all of the parasitic infections that can affect goldfish, costia is one of the very smallest and hardest to identify. Costia can only be seen under a microscope, and even then, it can be hard to positively identify. However, the effect that costia can have on goldfish can be severe if left unchecked. If you are worried that your goldfish may be suffering from costia or you want to know the warning signs to look out for, read on to learn more. Costia is a tiny parasite that may live on your goldfish and within the water of the tank for some time before it causes any problems. The most common time of year for outbreaks of costia infection to occur is during the springtime, but your fish may have been carrying the parasites for some months before they become apparent. The symptoms of a costia flare up in goldfish are generally quite pronounced, and once you know what you are looking for, the symptoms are easy to spot. 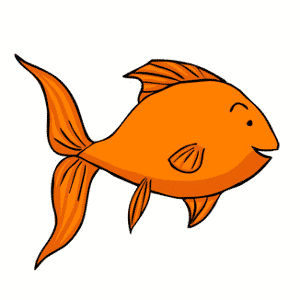 Your goldfish will probably develop slimy-looking patches over their gills and heads, and will tend to clamp their fins down close to their bodies. Goldfish will sometimes go off their food when suffering with an infection, and their condition will usually deteriorate quite quickly. You may observe your goldfish gasping for air near to the top of the tank, and flashing or rubbing against tank furniture in an attempt to ease their irritation. What causes costia in goldfish? Like many common goldfish ailments, costia and other parasites are most usually introduced into an otherwise healthy tank with the addition of new fish, and the water that they came with. Quarantining new fish before adding them to your tank is important, but as costia may be present for several months before showing symptoms, this is not always totally effective at ensuring that you do not inadvertently introduce costia into your tank. Costia can also survive out of water for a time, so it is vital to sterilize any tank equipment that you use on multiple tanks in between using it in different bodies of water. 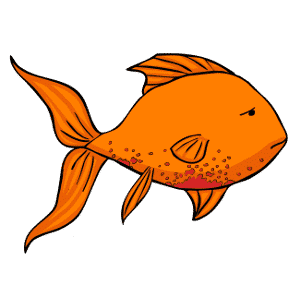 How can costia in goldfish be treated? 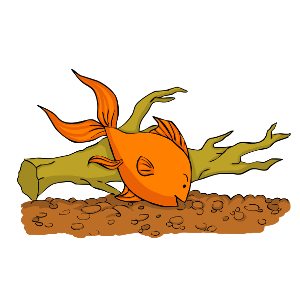 Costia is relatively easy to treat and eradicate from the goldfish tank by adding salt to the water, although some strains of costia have become resistant to this treatment method over time. One tablespoon of aquarium salt per gallon of water should be added to the tank every twelve hours for three applications, and this will usually eradicate costia from the water and from your fish. However, if the infection proves stubborn, you can increase the dosage to three tablespoons per gallon for three doses instead. 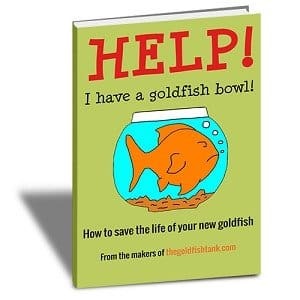 Alternatively, click here to find out more about goldfish care.